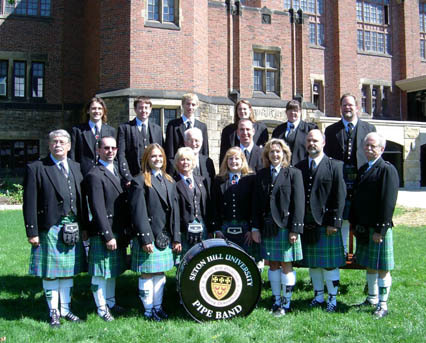 On a cold December night in 1993, Pipe Major A.G. Lee, Jr., of the Black Thistle Pipe Band and Pipe Major David Thompson, of the Grove City Highland Band, began discussing uniting their bands. Several weeks later, members of both bands met and the Allegheny & District Pipe Band was born. After a long and successful run in the EUSPBA grade 4 and grade 3 circuits, the Allegheny & District Pipe Band was once again on the path of new beginnings. 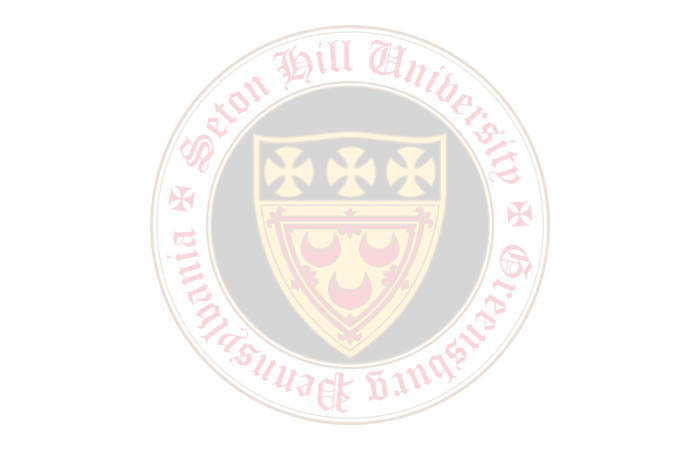 In August of 2007, in conjunction with Seton Hill University unveiling plans to build a new $21 million performing arts center in downtown Greensburg, Pa., Seton Hill University also announced a new and exciting partnership with the band, now under the banner of The Seton Hill University Pipe Band. With this new partnership the band continues not only to perform at pipe band contests in the United States and Canada, but is also featured at university events and functions. In 2011, after years of dedication, Pipe Major Lee stepped aside and Josh Dobbin was elected the new Pipe Major of the band. Under the direction of Pipe Major Dobbin, the band went through a rebuilding phase in 2012, introducing a completely new repertoire, competition medley and MSR. In 2013 SHUPB made its way onto the field once again, placing in the top 4 of every competition they attended. In 2014, SHUPB fielded nearly 30 members, from Ohio, West Virginia and all parts of Pennsylvania. The band had a solid run in the competition circuit and tied for 1st place at the Edinboro Highland Games among other awards throughout the season. At the end of 2014, SHUPB had an exciting new adventure to announce. With growing interest, it was necessary to develop a program for new and prospective musicians to be welcomed into the world of pipe band performances and competition. We are extremely excited to announce that SHUPB has formed a second band, still under the banner of Seton Hill University Pipe Band, however focused on the basics and team building philosophy that is so important to the success of our organization. This band has the goal of competing in 2015 in the grade 5 circuit and will be considered a stepping stone for musicians in joining the grade 4 section. Both groups are part of one large organization that will be featured at Seton Hill University functions and local performances. 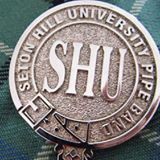 The long, decorated history of Seton Hill University Pipe Band and of its members is one of dedication and perseverance. With the ever growing distractions of daily life, we understand the need to set realistic goals and strive to better not only the band as a whole, but individual confidence and ability. The Seton Hill University Pipe Band offers developing student’s complete and extensive education in piping or drumming. Realizing that instruction is a very individual experience and each student has different methods of learning, we adjust teaching methods accordingly to help new musicians grow in their art. Piping and drumming instruction is available and open to all ages, whether you are a student of the university or not. We take pride in our performances and our role as ambassadors of Scottish piping and drumming for Seton Hill University. We thank Seton Hill University for their continued support and the support of our many friends and followers. Without you, this great tradition would not be possible.